100% original thanks to the social media effect: circles, shapes…everything is here to trigger a love-at-first-sight ! 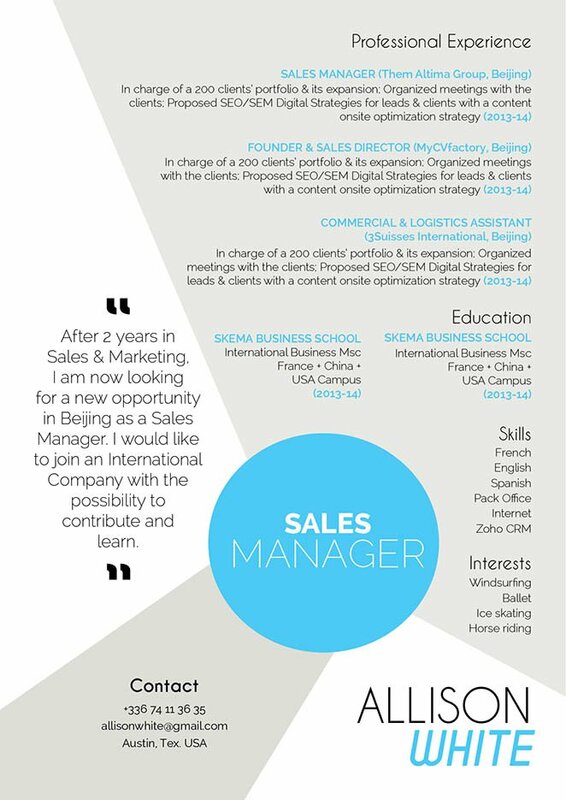 CV template to download "Distracting"
The perfect balance of style and functionality make this professional resume template one of the best we can offer! The Distracting Resume comes with a creative and functional design that is perfectly applicable to any job type out there! Applicants who have a solid set of qualifications will benefit greatly from this CV as all the pertinent information is clearly presented to your potential employer, which is sure to help you land that dream job! Typically, resumes are scanned for about 10-30 seconds – it doesn’t get a full reading the first time through! So it’s important that all the key information must be seen by your potential employer within just the short window of time. To get around this dilemma, your resume must be presented within a well-organized format. Use professional font likes Serif or Sans Serif, select a font style between 11 and 12, and selectively apply bold/italic font styles to help guide the reader along tour resume with ease. 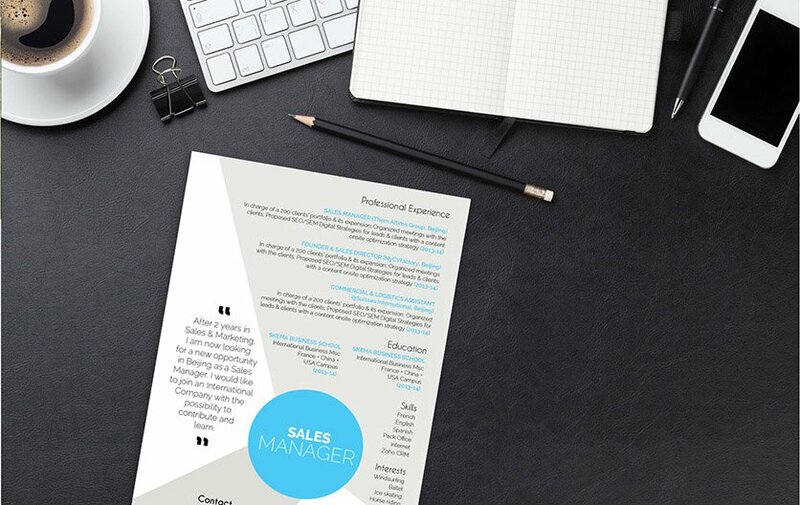 Make good use of graphics and bullets to highlight the parts of your resumes that need emphasis. Lastly, give your resume a logical format by using wide-margins, headings, and subheadings.